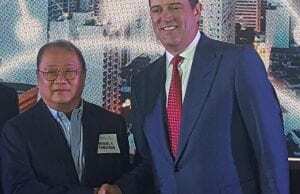 Local firm Transpacific Broadband Group International (TBGI) is eyeing to create a subsidiary that will build cell site towers to be offered to telcos for common use under lease. The subsidiary, which will be named Transpacific One Network Inc. (TONI), will be submitting a proposal to the Department of Information and Communications Technology (DICT) to build and deploy 15,000 cell sites as part of its application as a common tower provider. “The corporation has identified an initial 3,000 common tower sites given its existing clientele of private schools nationwide availing broadband services,” TBGI said in a statement late Tuesday, Jan 29. The company aims to provide site acquisition services and leasing revenues. Each tower is estimated to cost at around $100,000 per site while site acquisition costs will range from $7,000 to $10,000. “The corporation believes the NTC (National Telecommunications Commission)/DICT will allow the participation of more common tower providers based on the recent statement of the DICT to accelerate tower deployment to reach 50,000 towers,” according to TBGI. The DICT seeks to implement a common tower policy that will allow more companies to build and deploy cell sites and other facilities that will be leased to telco firms, which may then use them to improve their delivery of service. It has signed common tower provider agreements with local firm ISOC Infrastructures, Singapore’s ISON ECP Tower, IHS Towers of Nigeria, Edotco Group and RT Telecom of Malaysia, and China Energy Engineering Corp. The Philippines needs an additional 50,000 cell towers to be competitive with its neighboring countries in providing quality telco services to the public, according to the department.